Bookhout has conducted The Phoenix Symphony Chorus in performances of its own in Phoenix, at Carnegie Hall, in Vienna and Salzburg, and in Poland. His work preparing and conducting the Chorus on Poulenc’s Gloria in Vienna was hailed as “stimulating and … breathtaking.” In 2015, he led the Chorus in the world-premiere of Dan Forrest’s Psalm of Ascension for chorus and orchestra in New York City. Previously, Bookhout was Chorus Master for the West Virginia Symphony Orchestra, where he prepared its chorus for symphonic performances, including Britten’s War Requiem, Vaughan Williams’s Sea Symphony, and Walton’s Belshazzar’s Feast; and for fully staged operas including Carmen, Il Trovatore, and Die Fledermaus, earning notable reviews in the American Record Guide and Opera News. 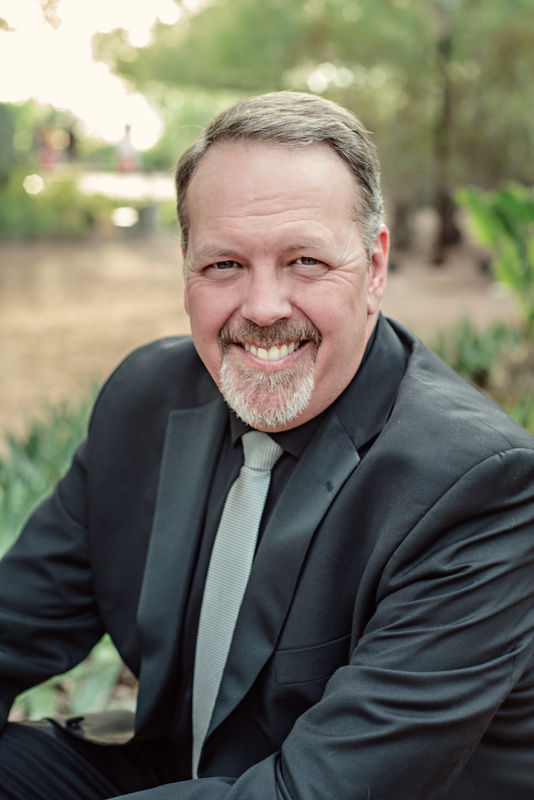 Bookhout is Director of Performing Arts and Associate Professor of Music at Ottawa University in Surprise, AZ, and is a popular conductor and clinician around the country. He also has been Choir Director at Camelback Bible Church, Music Director of the Taghkanic Chorale (succeeding two internationally-known conductors, Johannes Somary and Dennis Keene), Director of Choral Activities at the University of Charleston, WV, and Director of Music at The Stony Brook School in New York. Dr. Bookhout earned his advanced degrees at the Eastman School of Music at the University of Rochester and Arizona State University. His teachers and coaches have included Donald Neuen, Donald Bailey, Alfred Mann, Samuel Adler, David Stocker, Eric Nelson, Joseph Flummerfelt, Frauke Haaseman, and Dale Warland. He is a member of the Council for the Von Promnitz Palace Center for the Arts in Zary, Poland; has served on the executive board of the AZ ACDA; and is a member of numerous professional music and educational organizations, including NATS, ACDA, NAfME, Phi Kappa Phi, Pi Kappa Lambda, and Southwest Liederkranz. Tom and his wife’s family includes three adult children, two sons-in-law, and an ever-increasing number of perfect grandchildren.